The 2018 Turkish Airlines EuroLeague starts this week and will be more balanced and competitive than ever before. All teams made many changes to their roster and are still working on their playing style and tactics. Certainly, they will need some time to adjust and reach their peak performance. After all, it is all about how they end the season. Not how they start. Many basketball fans are wondering how things can evolve this season. There are many questions. These questions are about title contenders, MVP candidates, and possible EuroLeague Basketball pleasant surprises. Here is our selection of the 10 most burning questions, two days before the start of the Turkish Airlines EuroLeague basketball. 1) Will the CSKA Moscow budget finally pay off? CSKA Moscow has been the most dominant team in the regular season and the playoffs in the past decade. Even before that. They regularly finish on top and easily eliminate their postseason opponents to reach the Turkish Airlines EuroLeague Final Four. Yet, they have won the Turkish Airlines EuroLeague title only twice in the past 10 years (2008, 2016). Each season, the CSKA Moscow budget is the biggest in the Euroleague. They have the opportunity to acquire some of the best players outside the NBA. Yet, they always come up short in the end. Will this year be different, though? The squad brought in talented and experienced players in Daniel Hackett, Alec Peters, and Joel Bolomboy. The newcomers can make the difference on both ends of the floor. CSKA seems to have the most talented and deepest roster in the Turkish Airlines EuroLeague. The backcourt line includes top-class players, like Sergio Rodriguez and Nando De Colo. The versatility of forwards Will Clyburn and Cory Higgins is also crucial for the team’s tactics and playing style. At the same time, the presence of Kyle Hines and Othello Hunter makes the squad very strong inside the paint. Therefore, CSKA starts another season as the number one favorite to win the 2018 Euroleague title. The question is whether they will make it to the Championship Game and ultimately win the Turkish Airlines EuroLeague title. Head coach Dimitris Itoudis is under pressure, as he knows he will have to leave the team if they fail again. 2) Will Nick Calathes win the MVP Award? Nick Calathes is the undisputed leader of Panathinaikos. There is no doubt about that. The “Greens” are completely different when the Greek point guard is on the bench or unavailable to play. Nick Calathes is coming off the best season of his career and this season will be more of the same. The Panathinaikos roster consists of talented players that can make the difference in every game (James Gist, Keith Langford, among others). Yet, the presence of the Greek guard is of paramount importance for the six-time Turkish Airlines EuroLeague champions. Nick Calathes has the ability to transform the team into one of the favorites to win the Euroleague title. If Calathes doesn’t play at his usual high standards, Panathinaikos will struggle, especially against the top teams. For sure, the 29-year-old player starts the season as the top candidate to become the 2018 Turkish Airlines EuroLeague MVP. Only Sergio Llull can prevent him from claiming the award. Last year, Nick Calathes would have been the best EuroLeague player, if it wasn’t for Luka Doncic. The Slovenian star was amazing and won all titles and awards. With Luka Doncic moving to the NBA, though, Calathes starts from the pole position to become the Turkish Airlines EuroLeague MVP. 3) Can Olympiacos coach David Blatt perform a miracle? Olympiacos coach David Blatt certainly is one of the best in Europe. He won the 2014 Turkish Airlines EuroLeague with Maccabi Tel-Aviv. David Blatt was also the first European based coach to take the helm of an NBA team and as such he guided LeBron James and his Cleveland Cavaliers. Now, he wants to lead Olympiacos to the top. David Blatt signed players that match his playing philosophy, style, and tactics. He did that in order to make the team’s playing style less predictable. The “Reds” will play basketball in a much faster way, while they will not depend 100% on Vassilis Spanoulis. Olympiacos played very well offensively in the pre-season, yet they struggled defensively. This can cost them some victories at the beginning of the season. Nevertheless, the presence of Blatt ensures they will get better game after game. If the Greek giants remain healthy, they will be the favorites to reach the Turkish Airlines EuroLeague Final Four. 4) How will Real Madrid handle the departure of Luka Doncic? Luka Doncic left Real Madrid and joined the Dallas Mavericks in the NBA. The young Slovenian had an incredible season and led the “Royals” to both the Turkish Airlines EuroLeague and ACB title. He also won the Turkish Airlines EuroLeague MVP and Rising Star Award. Doncic was unstoppable and was the team’s undisputed leader and star. Surprisingly, his departure doesn’t seem to have affected the team, though. Real Madrid has had a great start of the season so far and has already won the Spanish Supercup. They are also undefeated in the Liga Endesa. They play excellent, especially offensively, and have one of the deepest and most talented rosters in the Turkish Airlines EuroLeague. Sergio Llull has taken over, having fully recovered from his serious injury last year. The squad’s backcourt includes Jaycee Carroll, Rudy Fernandez, Facundo Campazzo and Jeffery Taylor as well. All four of them can make the difference for the “Whites”. Their frontline consists of players that can score both from inside the paint and beyond the arc. Captain Felipe Reyes and power forward Trey Thompkins are such examples. Real Madrid wants to go all the way for a second straight season. They seem to play equally well without Doncic. However, the real test will come when they face the other Euroleague title contenders. 5) Can Barcelona bounce back? Barcelona has failed to reach the playoffs for two straight seasons. They want to change that and reach the Turkish Airlines EuroLeague Final Four for the first time since 2014. They made many changes to their roster and will need time to find the right success formula. The squad saw the great Juan Carlos Navarro retire. However, they signed many talented players that are ready to bring the team back to the top. Kevin Pangos is coming off the best season of his career and will have a leading role in the team. Chris Singleton joined the Catalans to make the difference, especially offensively. The same goes for American sharpshooter Kyle Kuric. 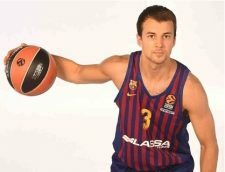 Thomas Heurtel will also be one of the leaders, while Ante Tomic has made an impression at the start to the season. The “Blaugrana” have strengthened their roster, yet they will need some time to adjust. If they claim consecutive victories, they will boost their confidence and will play better game after game. Barcelona is a dangerous outsider in the Euroleague this year. They have the talent and potential to go all the way. All they need is a bit of luck. 6) Can Fenerbahce handle the favorite role? Fenerbahce saw Brad Wanamaker and Jason Thompson leave the team. Former NBA players Tyler Ennis and Joffrey Lauvergne came in as their replacements. The team had some good performances in the pre-season. Despite facing some financial issues, they still have one of the best rosters in the Euroleague. 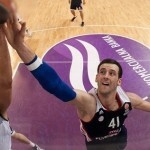 Kostas Sloukas, Nicolo Melli and Jan Vesely will be the leaders, while Bobby Dixon will again be a game changer. If Ennis and Lauvergne play at high standards, they will help the team take it to the next level. The presence of coach Zeljko Obradovic has to ensure consistency and discipline throughout the season. Fenerbache is the top-ranked team behind CSKA Moscow, but there is a big difference between being an underestimated Cinderella team (2017) and a favorite that is chased by everybody. Can Fenerbahce handle that pressure? 7) Will Armani Milano or Zalgiris Kaunas have a breakout season? Armani Milano wants to advance to the Turkish Airlines EuroLeague playoffs for the first time since 2014. They made some great signings during the off-season and have created a solid team. Mike James, Nemanja Nedovic and Jeff Brooks came in. They will play alongside Vladimir Micov, Arturas Gudaitis and Kaleb Tarczewski. The Italians played well during the off-season. Their strength lies in teamwork. If the players are willing to sacrifice for each other then they can beat anybody. Otherwise, if they care more about their stats, they will again fail. Zalgiris Kaunas was in dire straits just a few years ago. Back then the club had all kinds of financial problems, the players went on a strike and the Zalgiris owner even asked money from fans. The difference with today’s team couldn’t be bigger. Last season the team was the biggest surprise of the Euroleague and former player Sarunas Jasikevicius showed that he can be an even bigger star as a coach. That didn’t go unnoticed and for months he was rumored to sign elsewhere, but in the end, he stayed with Zalgiris. The club also kept most of the players, although Axel Toupane and Kevin Pangos left. They both had a key role in last season’s success. Especially the Canadian point guard. Nate Wolters and Leo Westermann joined the team and the Lithuanians want them to make the difference. Just like Pangos did. Zalgiris will surely be competitive again this season. 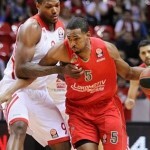 The question is whether they can reach the Turkish Airlines EuroLeague Final Four for a second straight year. 8) Are Anadolu Efes and Maccabi Tel-Aviv able to make it to the postseason? Anadolu Efes has put together a great roster. They brought in versatile and experienced players that can play very well on both ends of the floor. Shane Larkin, Rodrigue Beaubois, James Anderson, Adrien Moerman joined the team during the off-season. They all know how competitive the Turkish Airlines EuroLeague is and want to bring the team back to the postseason. The squad had the worst record last year in the Turkish Airlines EuroLeague (7-23). But it is not very likely that they will play so badly this season. They have the potential to advance to the postseason. Maccabi Tel-Aviv has failed to play in the postseason in the past three years. They now want to change that. The Israelis let most of the players from last season’s roster go. They signed Jeremy Pargo, Johnny O’Bryant, Tarik Black and Scottie Wilbekin. Head coach Neven Spahija will need time to make his players adjust to his tactics and operate as a team. So far, Maccabi has had many ups and downs. They start the Euroleague season by playing against Panathinaikos and CSKA Moscow in the next two weeks. These two matches will give a better feel for how competitive the team will be in the 2018 Turkish Airlines EuroLeague. 9) Are Buducnost and Gran Canaria the weak links in the Turkish Airlines EuroLeague? Buducnost who? That’s the question because this Montenegrin team is a newcomer to the Euroleague. They shocked friend and foe last season by winning the Adriatic league and thereby qualifying for the Euroleague instead of giants like Crvena Zvezda, Partizan or Cedevita Zagreb. So far, Buducnost has not played very well at the start of the new season. They lost twice to their Adriatic league rivals Crvena Zvezda and have to work very hard to turn things around. It seems like they will have a tough year. Here is the trivia question of the year; What is bigger? 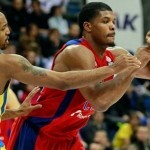 The annual budget of Buducnost or the monthly salary any of the starters of CSKA Moscow? 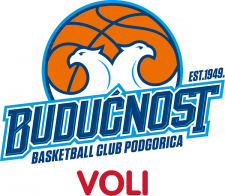 By the way, “Buducnost” means “future.” What will the future bring for this club from a country with only 600,000 inhabitants? Gran Canaria is another newcomer to the Turkish Airlines EuroLeague. Their pockets aren’t as deep either, nor is their roster loaded with superstars. It wouldn’t be a surprise if they focus more on the domestic Liga Endesa (Spanish ACB), instead of the Turkish Airlines EuroLeague. But watch out. If that’s their strategy, they could serve as target practice for the other Euroleague teams. Gran Canaria will battle with Buducnost to avoid the last place and the 7-23 record of Efes from last season. 10) Is the Turkish Airlines EuroLeague moving in the right direction? The Turkish Airlines EuroLeague has announced that they will add two more teams from next season onwards. Bayern Munich will receive an associate wild card for two seasons. 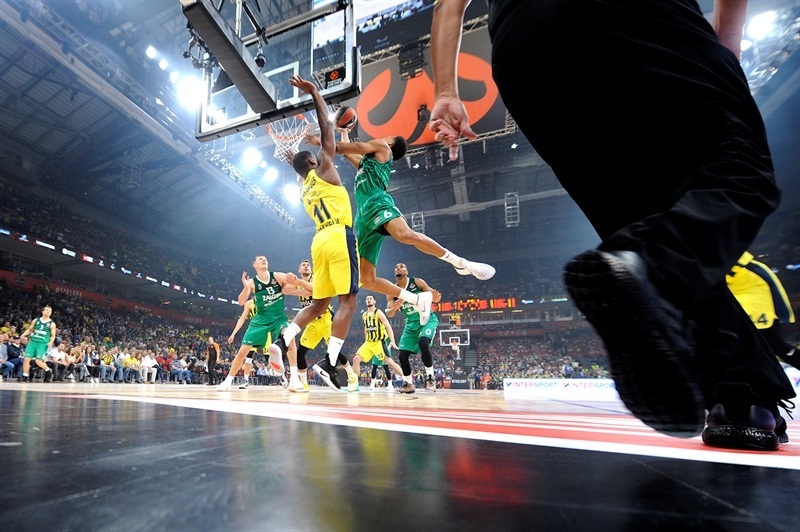 Moreover, the Turkish Airlines EuroLeague is also close to reaching an agreement with ASVEL Villeurbanne. The 18th team will likely come from either Germany or France. Under the new system, 11 teams have signed a 10-year contract, which means their participation is guaranteed. No matter the results in their domestic leagues. However, this means that many other teams have limited opportunities to ever play in the Turkish Airlines EuroLeague. Currently, there is just one single team from the Adriatic league (Buducnost) that competes in the Turkish Airlines EuroLeague. There is no team from Serbia, Croatia and France, and just one from Italy and Lithuania. On the other hand, there are four Spanish teams. The Turkish Airlines EuroLeague should consider adding clubs that have a history and strong fan base. Instead, they seem to focus on big-budget teams that come from countries with the biggest commercial potential. It is a result of the basketball globalization and the American sports model replacing the traditional European one. In other words, money is King. Overall, the Turkish Airlines EuroLeague is expected to be more balanced and competitive than ever before. All teams will fight tooth and nail for their qualification to the postseason. The aforementioned questions are indicative of what most basketball fans are wondering ahead of the new season. Ultimately, though, all answers will be given on the floor. As the English say; the proof is in the pudding.